Levothyroxine (Brand names: Levoxyl, Tirosint) is a drug used to replace a hormone in the thyroid gland that regulates the body’s energy and metabolism. The drug is the synthetic version of thyroxine (T4) and is prescribed when the body cannot produce enough of it on its own. It is also used to treat hypothyroidism, a condition marked by low thyroid hormones, and prevent goiter (the enlargement of the thyroid gland) – both of which can be caused by hormone imbalances, radiation treatment, surgery, or even cancer. Individuals should not take levothyroxine to treat weight problems such as obesity, especially if they are taking weight loss medications, as this can lead to dangerous side effects or even death. Women who become pregnant while taking levothyroxine should also seek medical advice, as any changes in thyroid hormone levels can harm both mother and baby. The side effects of levothyroxine can harm a person’s cardiovascular, endocrine, nervous, musculoskeletal, gastrointestinal, and genitourinary systems. In addition, levothyroxine may cause hypersensitivity and autoimmune disorders. Desiccated thyroid gland – The medication, commonly used in cases of hypothyroidism, is made from the dried thyroid gland of an animal (usually a pig) and contains both thyroxine and triiodothyronine, which are important for proper function. Selenium – The mineral is essential to normal thyroid function, as it converts the T4 hormone into the active T3 hormone. It’s also a preventative against goiter and other thyroid issues. Niacin – The vitamin, which also goes by the nomenclature vitamin B3, is used to regulate thyroid hormone levels. Iodine – It’s essential for the thyroid gland to have enough iodine to produce hormones, as low levels of the mineral can result in goiter. Diarrhea – Eating a bland diet like those in the BRAT diet (bananas, rice, applesauce, and toast) can relive an irritable bowel. Insomnia – Individuals suffering from sleep problems can benefit from making a relaxing environment that allows them to sleep without any interruptions. 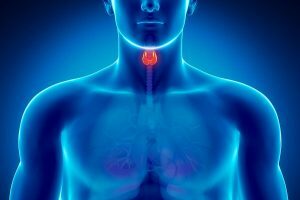 Levothyroxine replaces a hormone in the thyroid gland that regulates the body’s energy and metabolism. Levothyroxine is the synthetic version of the thyroxine (T4) and is prescribed when the body cannot produce enough of it on its own. Levothyroxine is also used to treat hypothyroidism and prevent goiter. Levothyroxine harms a person’s cardiovascular, endocrine, nervous, musculoskeletal, gastrointestinal, and genitourinary systems.